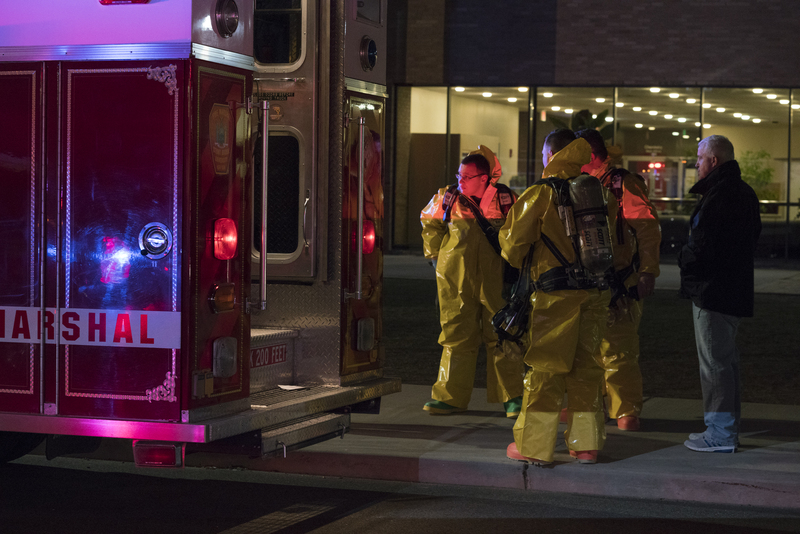 Nitric acid, a highly corrosive chemical, was spilled in a fourth floor laboratory of the Chemistry Building around 8 p.m. on Thursday, April 5, according to University Assistant Chief of Police Eric Olsen. An officer was treated for eye irritation, but no additional injuries was reported, according to the Director of the Office of Emergency Management Lawrence M. Zacarese. The building was reopened close to midnight. According to a report from Newsday, the spill occurred because of an experiment with an unexpected chemical reaction. Zacarese said fire marshals put the spill into an overpack drum, a type of protective packaging for hazardous materials, and cleared the building of the chemical. When the spill was reported, multiple police officers, fire marshals and EMS responded as a precaution, Zacarese said. “There’s a big response here because it’s an unknown chemical,” Zacarese said. “So, until they get up there and identify [the chemical], we have a lot of responsibility.” He later said there wasn’t a danger to the public.